Over the past decade, 19,000 Africans have become dollar millionaires. Africa’s combined wealth has grown by 13% – 3% just in the last year alone. The combined individual wealth of all Africans is $2.3 trillion today – by the end of 2027, it will have increased by a third to $3.1 trillion. Clearly, it’s boom time in Africa. The map below offers a revealing perspective on the wealth of the continent. The African subsoil may be resource-rich in many places, but as elsewhere in the world, it’s in the great urban centres that money accumulates. And people too: by 2100, 13 of the world’s 20 biggest megacities will be in Africa. 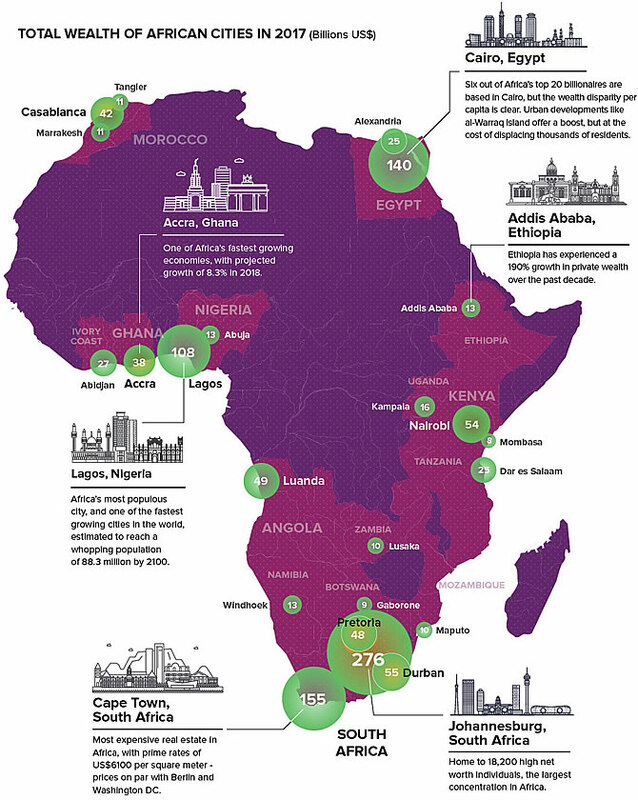 And this overview of Africa’s richest cities, based on the The AfrAsia Bank Africa Wealth Report 2018, indicates where clusters of wealthy cities are developing across the continent, as well as showing a few more isolated locations of money aggregation. 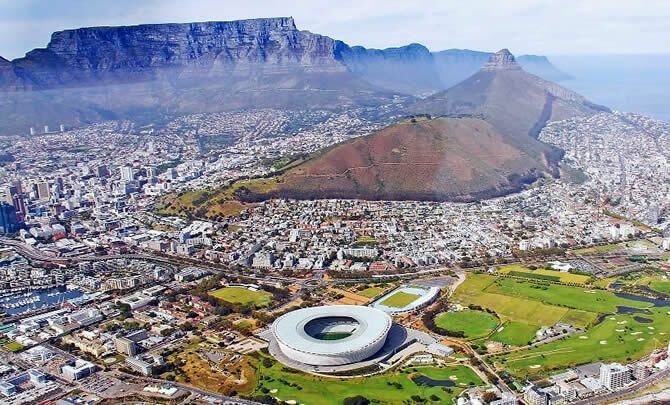 Long the most developed nation on the continent, South Africa – with four of Africa’s ten richest cities – continues to be the economic engine of Africa’s southern half. With a total GDP of $722 billion, South Africa as a whole continues to be the continent’s wealthiest country, but on a per-capita basis it comes second after the tiny island nation of Mauritius ($32,700). 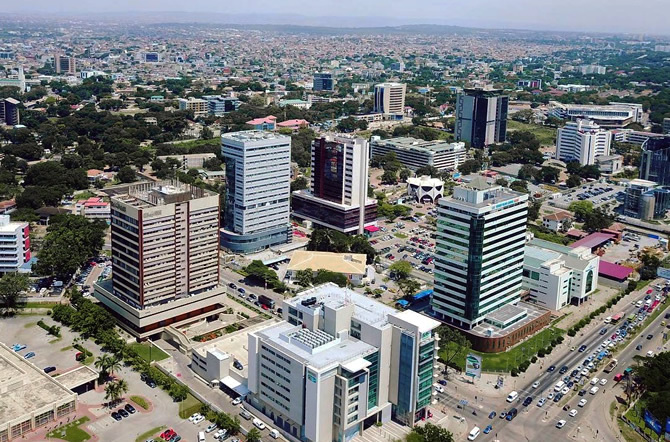 The East African economy is dominated by a string of wealthy cities, from Uganda’s capital Kampala via Nairobi and Mombasa in Kenya to Dar es Salaam, Tanzania’s biggest city. In West Africa, a similar transnational conglomeration runs from Abidjan in Ivory Coast over Ghana’s Accra to Lagos and Abidjan in Nigeria. 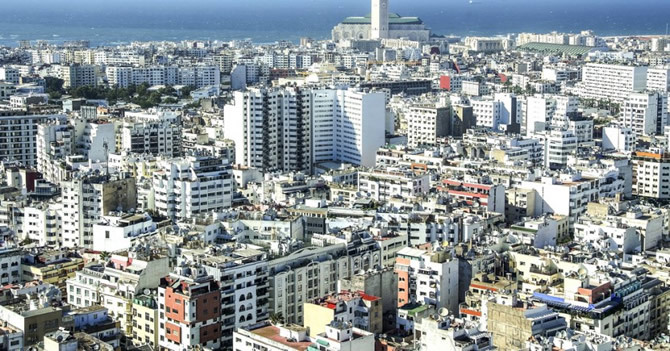 In Morocco, Casablanca’s wealth is flanked by that of Tangier and Marrakesh. 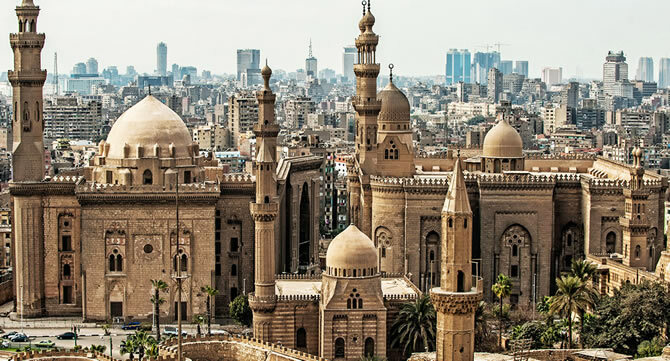 In Egypt, Cairo dwarfs but not completely outshines Alexandria. The ‘isolates’, in descending order, are four capitals: Luanda (Angola), Addis Ababa (Ethiopia), Windhoek (Namibia) and Lusaka (Zambia). 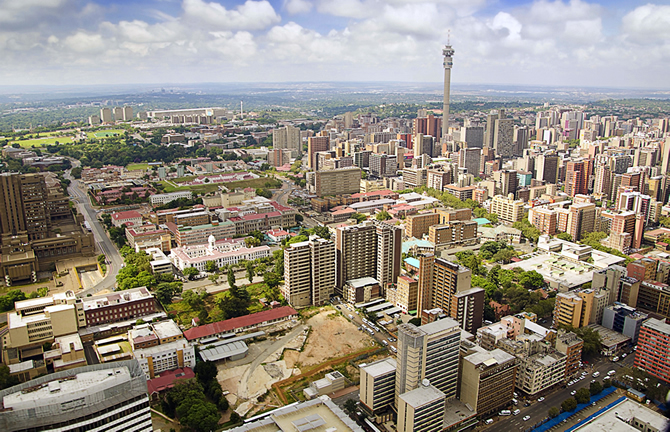 Fittingly, Africa’s richest city was built on gold – on the Witwatersrand Gold Rush of 1886, to be exact. 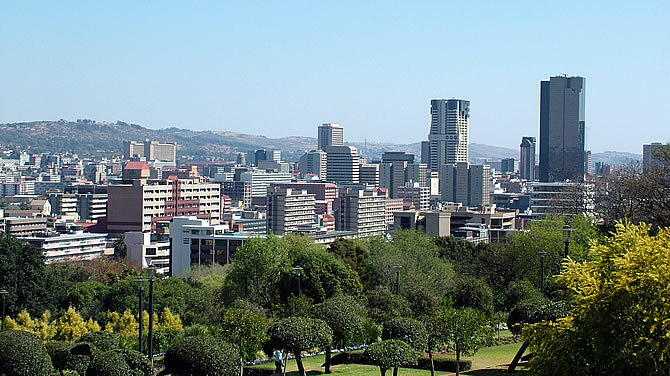 It’s the commercial capital of South Africa and the wider region. 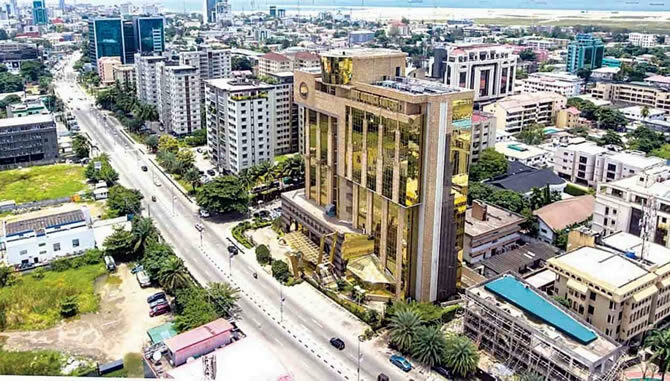 The city with Africa’s highest prime residential rates, at around $6,100 per square metre (similar to DC or Berlin) also is an important hub for financial services, retail and tourism. It may no longer be the country’s capital, Lagos still is the gateway for 80% of Nigeria’s exports – and the centre of the burgeoning film industry, a.k.a. Nollywood. At 21 million inhabitants (2016 est. ), it’s Africa’s largest metropolis, as well as one of the world’s fastest-growing cities. 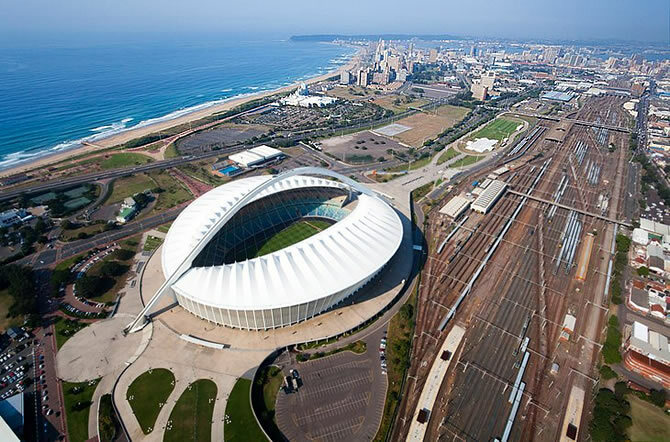 Subtropical Durban is South Africa’s third-biggest city (after Johannesburg and Cape Town), second-biggest manufacturing hub and biggest port, as well as a major tourist destination. Durban’s Gateway Theatre of Shopping is Africa’s biggest mall. It has 12,000 parking slots, 390 stores, 90 restaurants, more than a dozen movie theatres (including an IMAX theatre), a skate park designed by Tony Hawk, and the highest fountain in Africa. Kenya’s capital and largest city (metro area: 7 million) Nairobi is also known as the Green City in the Sun. 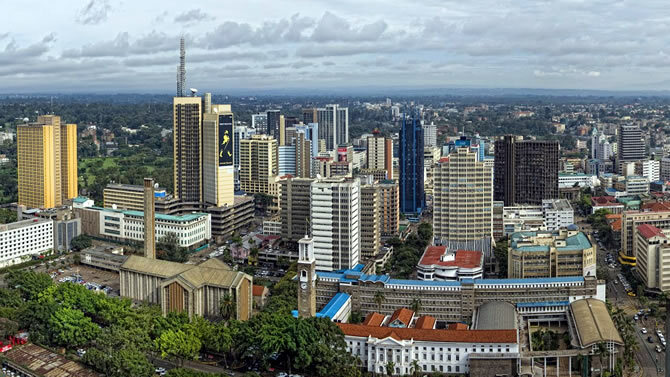 Founded in 1899 by the British as a rail depot, the city today is home to thousands of Kenyan businesses, as well as the Nairobi Securities Exchange, Africa’s 4th-largest stock exchange; and regional hub for hundreds of multinationals. 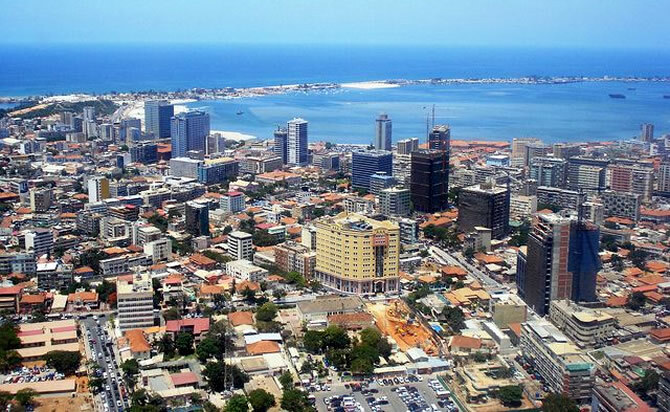 Luanda is the biggest city, major port and capital of Angola – and its metro area is home to one in three Angolans. While the majority of Luandans live in poverty, the booming oil and gas industry has created huge wealth for a minority (as well as a boom in banking and building). Luanda is one of the world’s most expensive cities for ex-pats, in part because of high import tariffs imposed to help pay for diversifying the economy. A merger of coastal settlements around British, Dutch and Danish coastal forts, Accra in 1957 became the capital of sub-Saharan Africa’s first independent nation. Today, it is a centre for manufacturing, marketing, finance, insurance, and transportation. Over the next decade, the AfrAsia Bank’s report expects growth to remain strong in South Africa, Angola, Morocco, Egypt, Ivory Coast, Tanzania and Nigeria – not coincidentally countries hosting many of the hubs shown on this map.